There’s more to sewing than a pattern, fabric, thread and a sewing machine. You need a ton of sewing supplies that can help you in a wide range of tasks. We’ve gathered together out a list of cool sewing accessories and sewing tools for beginners like you should invest in. Check out what basic sewing supplies you may already have, and those you want to go out and purchase soon. A seam ripper will be your best friend and confidante whenever you mess up on your stitching. They never judge your project too harshly. Instead, they will help you fix the mistake so you can try, try again. You need fabric shears. You will be cutting up tons of fabric and you need to have a good pair with sharp edges. My personal favorite is the Gingher 8-Inch Knife Edge Dressmaker’s Shears . Never take the shears out of the craft room and stop anyone who tries to sneak them away to cut paper and other items. These shears should only be used for fabric, and if you must place a note on the door as a reminder for the rest of the family, do so. While you are shopping for large shears, also make it a point to pick up a small pair of craft scissors. These scissors are perfect when clipping short threads. You can also rip out seams with them when you misplace the seam ripper, which happens sometimes when you are going through your fabric stash and the mountain of fabric topples onto your table. There will never be a sewing project that you will do that will not require exact measurements. While straight rulers and L-squares will be your go-to items when making straight marks on the fabric, you will need measuring tape for accurate body dimensions when you are making clothes. When you are using rotary cutters, the sharp edge can cut through fabric and mark up your sewing table. Self-healing mats are definitely an essential sewing accessory to have. Just make sure to turn and flip the mat about so you aren’t cutting in the exact same spots again and again. If you don’t do this, then you will eventually cut a groove through the mat. Speaking of self-healing mats, rotary cutters are great items when you are cutting out patterns. You will be able to keep the pattern flat on the surface without lifting up an edge and taking the chance of having the pattern paper shift when using regular scissors. You can purchase an iron dirt cheap in any big-box store. Get a second iron and keep it in the sewing room so you can press your seams. 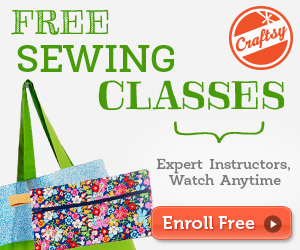 Your handcrafted sewing projects will look more professional when you press seams the right way. You also won’t have to carry the iron from room to room when you have to press a skirt or shirt for work. Even though you will be using a sewing machine for most of your projects, you still should invest in hand-sewing needles. There will be a range of projects where you might have to sew on a button, place on a fabric eye for a doll, or perform other finishing touches that would be better if done by hand. Threading a needle can be such a hassle no matter how keen your eyesight is when trying to get the thread in through the tiny eye. A needle threader saves time and energy. Just place the flexible end of the threader through the eye of the needle, place the thread into the threader, and pull the threader out as you will have a perfectly threaded needle in less than two seconds. Safety pins are one of those essential items that can be used in a number of different ways. You can hold down patterns, use them as a guide when sewing, hold elastic cords in place so the cord doesn’t get pulled into a waistband, and other assorted tasks. 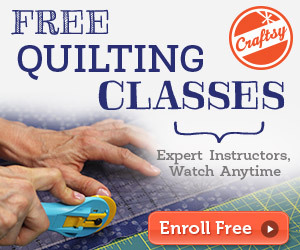 You will mostly use the universal sewing machine needle for a lot of projects as a beginner. Yet you should also learn more about the other sewing machine needles available. There are specific fabric needles (such as denim and leather needles), double needles and ballpoint needles — to name a few. Never hold safety pins in your mouth. You risk the chance of inhaling a needle into your lungs. Instead, keep needles safe and always on hand by placing them into a pin cushion. Tweezers can help in tiny ways. You can use them to thread a needle and pull out a cut thread. Always keep one handy and close by so you aren’t digging in the junk drawer for one. You may be working with certain types of fabric where you don’t want to use safety pins to hold the pattern while cutting the design out, such as leather or sheer fabrics. Pattern weights can come in a wide range of colors and sizes. Yet you can also just use small bags of rice, canned foods or even penny rolls as pattern weights. Here is quick and easy tutorial to make your own out of old t-shirts. There are tons of other notions and accessories you may collect over the years that will become essential supplies while sewing. So get yourself a nice sewing toolkit or bin to stow your items and keep them organized.